The longest — and most negative — presidential campaign in history is coming to a close. Don, James and Gavin talk about the Pope’s advice for US voters: Study the policies, pray and vote your conscience. Where does that leave voters? The panel also discuss a new bishop in Australia, who’s actually a New Zealander, the new group of cardinals and what that says about Pope Francis’s vision for the Church, and also the ecumenical efforts of Anglican and Catholic leaders, including two Kiwi bishops. And this month’s light story isn’t all that light; in fact, it’s pretty dark. Does the world have enough exorcists? 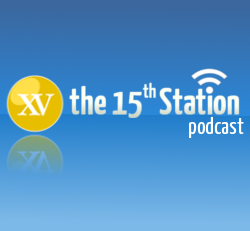 Enjoy another diverse episode of The 15th Station. What Pope Francis said about Christians’ attitudes to homosexuals and what he did about the prospect of priests celebrating Mass ad orientem feature prominently in this month’s episode of The 15th Station. Don, James and Gavin also speak about the demographic challenges facing the Church in New Zealand — and in other Western countries — and consider the Church’s efforts to stop the legalisation of euthanasia. But how could a podcast be complete without discussion of PokemonGo? Answer: It couldn’t. Enjoy the show. There are many reasons for doom and gloom when considering this month’s lineup of topics — none more so than reflecting on the murder of four Missionaries of Charity in Yemen. They are “today’s martyrs”, Pope Francis said, and it’s hard to disagree. In New Zealand, Bishop Patrick Dunn has spoken out against Madonna, who he said engages in highly offensive conduct in her current concert. In the US, causing offense seems to be something of a pastime for presidential hopeful Donald Trump. Pope Francis and leading Catholic academics have been highly critical of the billionaire’s rhetoric and policies. Is the criticism fair? Lucy, Don, James and Gavin consider those questions, and also do their best to think about Iron Maiden’s greatest hits.  It’s another intriguing episode of Station 15, as we explore the role of bishops in industrial disputes, Jesus’ ability to heal diseases and the Pope’s upcoming trip to Cuba, not to mention one of the most frivolous court cases you might ever hear about. Just another month in the life of The 15th Station. Is it a place of fire and brimstone, or wailing and gnashing of teeth? Is it a place that is simply an absence of God? Whatever the reality, the Catholic Church continues to hold to the idea of a place called Hell. What is the Church’s understanding of Hell? Has it changed over the years? How does a loving God allow people to end up in Hell? 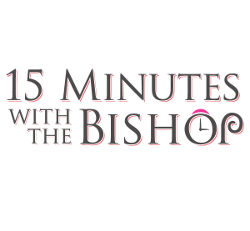 Bishop Patrick talks with Gavin about those questions in the latest episode of 15 Minutes with the Bishop. Over the next two days, the Catholic Church honours a couple of great figures in Christian history: St Augustine and his mother, St Monica. St Augustine is often seen as a bit of a prodigal son — someone who strayed but then returned to the Faith. As Bishop Patrick points out in this week’s episode of 15 Minutes with the Bishop, how far Augustine strayed might be at question, but his mark on the early Church is not in dispute. Neither is the faith of his mother, who prayed constantly for her son’s conversion back to the religion she tried to pass on to him.